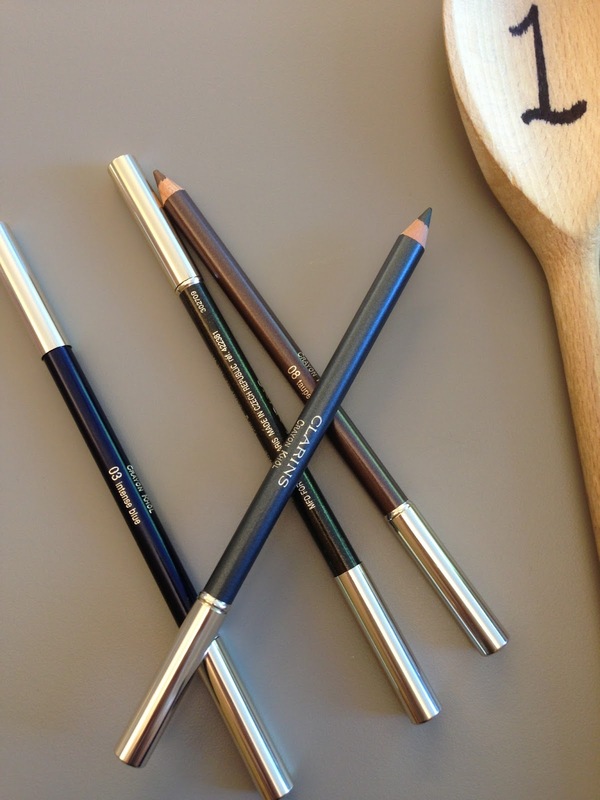 Last time I shared my Current Makeup Staples, this time it is all about skincare. My sister (beautyorbread) passed me this bottle from her cabinet. I am loving foam cleanser. It cleans so well on my combination/oily skin. 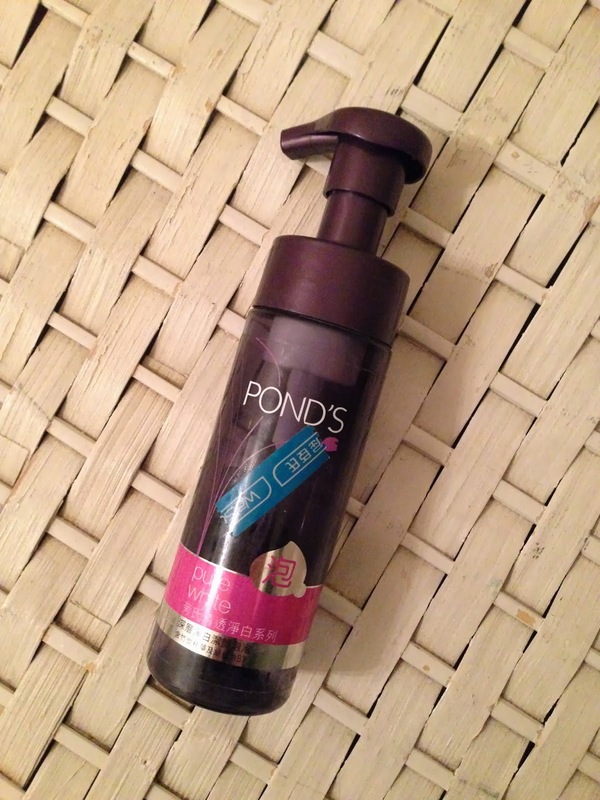 Ponds is not available in the UK, but a good alternative is Boots No7 Foaming Cleanser (£9). which I always stock up with special discounts or vouchers. I got my little sample pot of Charlotte's Magic Cream (Full size from Charlotte's online shop - £70) from my online order on her website launch (you can see what I bought here). This little pot has lasted me for a month, and I used it morning & (quite generously) at night! 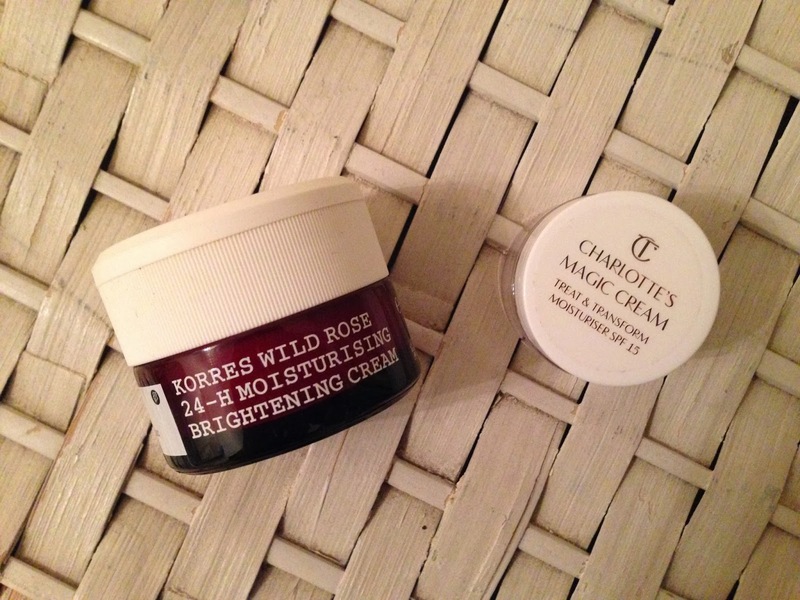 Another cream that I have been loving is the Korres Wild Rose Cream (from Feelunique.com - £20) . This has a cream/gel texture, which means it is very light as a day cream, it can also be used at night if apply a thicker layer. The rose smell is a bonus. 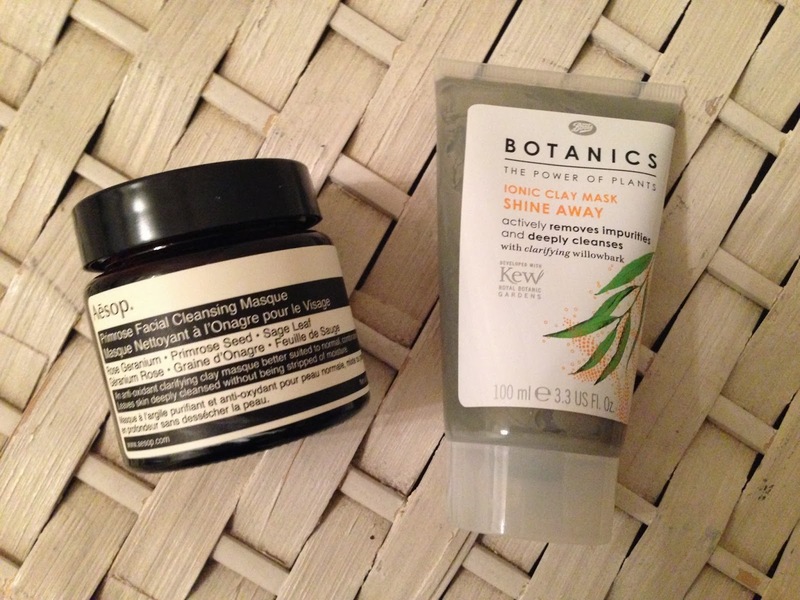 My love of rose scent & clay mask makes Aesop Primrose Face Masque (60ml - £23; 120ml - £33) my all time favourite mask. This is the strongest mask I have ever used in terms of: the scent, the feeling & the cleansing power. 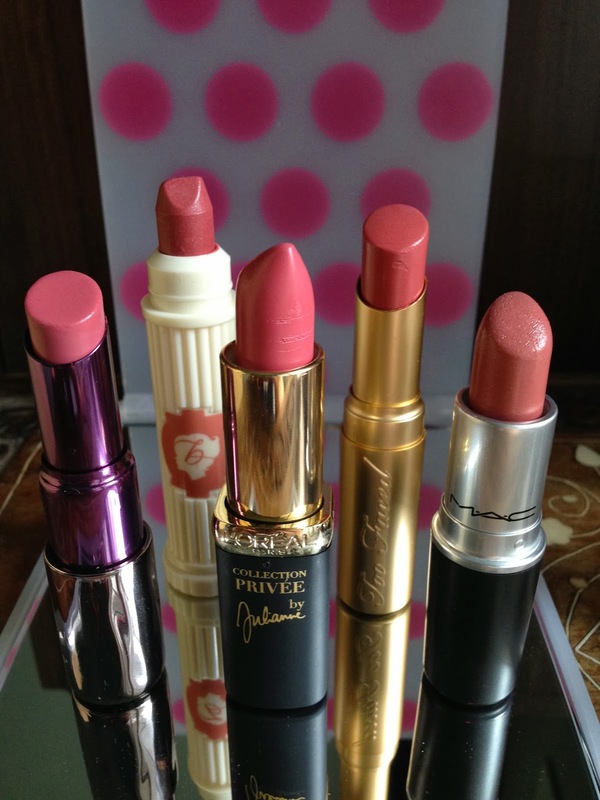 The rose scent is strong, so definitely avoid apply too close to the eye area as the scent makes my eyes water a bit. 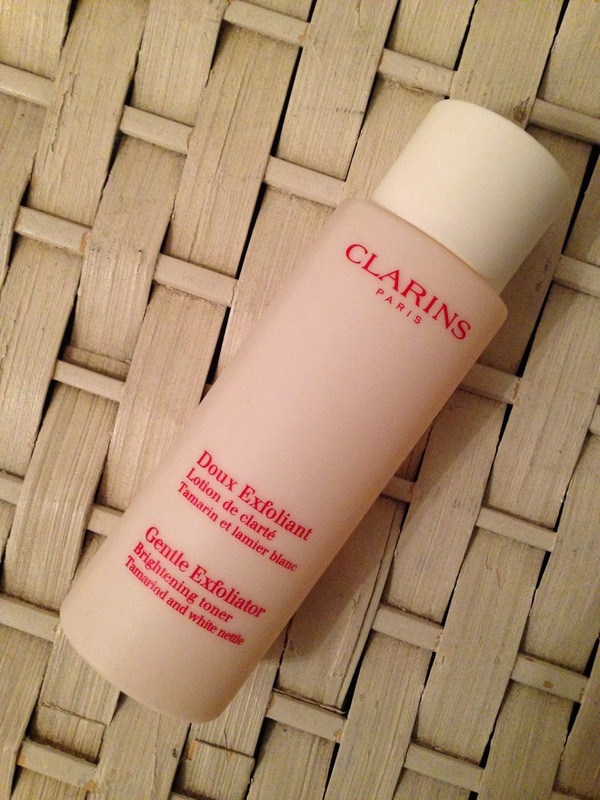 It feels quite tingly on skin, so a definite "No" to sensitive or dry skin. However, my skin feels super clean afterwards and it does not stripe my skin at all! I have the small size jar of 60ml (£23), it will last for quite some time if only used for once or twice a week. 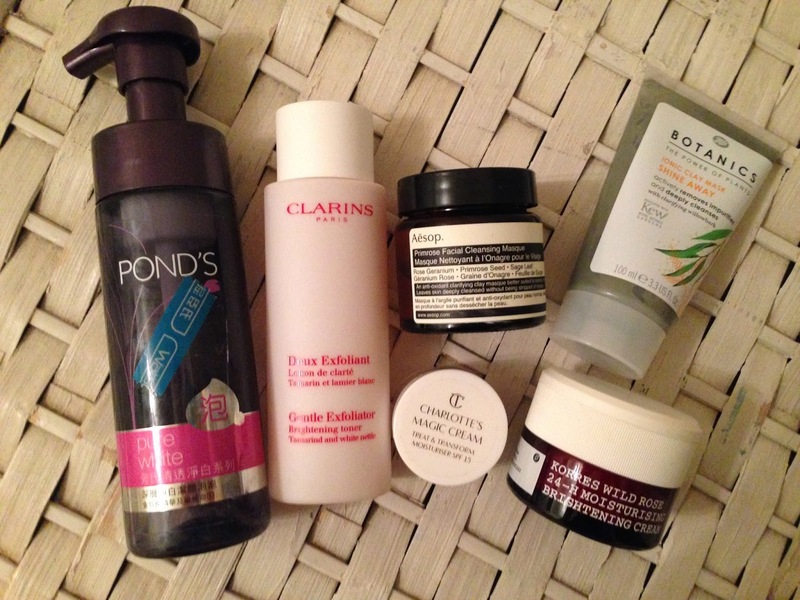 For a cheaper & more gentle alternative, Boots Botanics Clay Mask (£6.99) is my favourite drugstore mask. I have been using this for years, it is a clay mask that I come back to time and time again. It cleanses my pore really well, and it is gentle enough for every other day use (or even daily use as an intensive 5-day clean-out). What is/are your skincare staple(s) that you cannot live without?